We’re West Midlands function band Groove Collider. Are you looking to hire a band for your wedding, party or event? If you are looking to hire a band for your event, then Groove Collider will ensure your guests will be dancing all night long! Our powerful five-piece sound combines tight vocal harmonies with an energetic performance. The band provide live music for private parties, corporate events and wedding receptions. 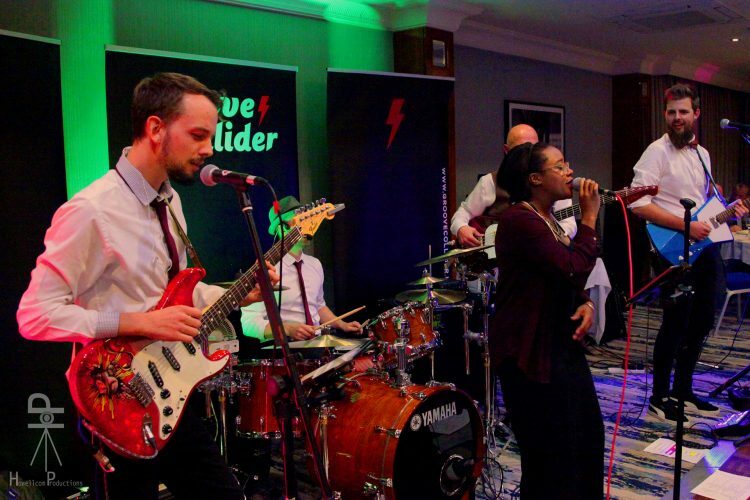 If you need an experienced Birmingham wedding band performing a great selection of songs, then Groove Collider are a great choice. We’ll setup when you need us to and work to your schedule. The band can provide up to 2 hours of stomping dance floor fillers AND can perform your first dance or a song medley live! Celebrate your birthday in style! Providing a selection of classic and current hits, Groove Collider will make your birthday a hit with your guests. The band will provide all lighting and sound equipment, so all you need to do is enjoy the party. Performing an energetic set of classic rock and pop hits, you’ll be dancing all night long. It can be stressful when looking to hire a band for a wedding or event. We make it easy! Simply tell us what event it is, the location, the number of guests, and the date. We’ll get back to you with an answer within 48hrs. Simple! We’re 100% live with no backing tracks! Performing a popular selection of songs from the 60s, 70s, 80s, 90s and 00s. Groove Collider are a friendly and professional. Our aim is always to make your party, wedding or event memorable and run as smoothly as possible. If you would like us to include a first dance/favourite song at your wedding, no problem. We’d be happy to learn and perform it live. Or if you prefer play it via a CD or MP3 player. We want to keep your guests dancing all night long. Therefore we’re more than happy to provide an MP3 player of party hits to fill the gaps when Groove Collider aren’t performing! We provide live entertainment for any occasion. Groove Collider perform an original live set of many well loved party songs. Our sound is finely tuned to include upbeat Pop, Rock and Indie hits. So there is something for every age group. The band also regularly update their set to include the latest chart numbers. 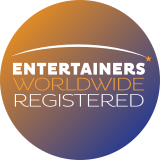 We pride ourselves on delivering a fun and friendly performance so guests feel comfortable, engaged and most importantly enjoy themselves. With a mix of close harmonies, power guitars, bass and drums – this high energy wedding & party band are an ideal choice. We are available to perform in Birmingham, Shrewsbury, Warwickshire, Worcestershire, Gloucestershire, Bristol, Derbyshire and surrounding regions. Groove Collider provided a great evening of music at a recent local event. Awesome variety of songs and a cracking long set that kept everyone dancing, (I thought it was their last song of the night 3 times!) Can't wait to here them again. Genuinely a great, energetic and enthusiastic band formed of talented musicians! 5 stars all round. Thank you very much for your excellent performance at The Red Lion Hunningham. It was a pleasure to have you. Hope to see you again soon. I wanted to give 4.5 stars as only god’s holy host of angels and their heavenly song can get a 5. But right after god, there comes the groove collider! Would highly recommend this amazing band!